With Discover Code Red now entering its third year and with a string of cool releases under its belt, producer and DJ Chris Hampshire has mixed together a sonic feast of the very best that the label has to offer. 15 tracks spanning the life of the label, this is a journey celebrating the diversity and short history of the techno sound that Code Red has championed since its inception. Dark, deep and funky in equal measure this is a celebration the techno sound that we love and the artists that we support. Ladies and gentlemen, we are proud to present Sonic Alchemy. 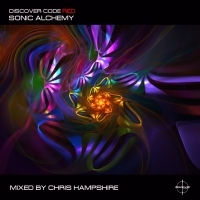 'Sonic Alchemy (Mixed by Chris Hampshire)' is available now from Beatport and iTunes.